In a city as big as Chicago, there are so many romantic places to visit with your loved one, including the Millennium Park Ice Rink, the Buckingham Fountain or the Horse Carriage Tour. With all of the activities around, staying at a romantic hotel can really set the mood for your weekend getaway or vacation. 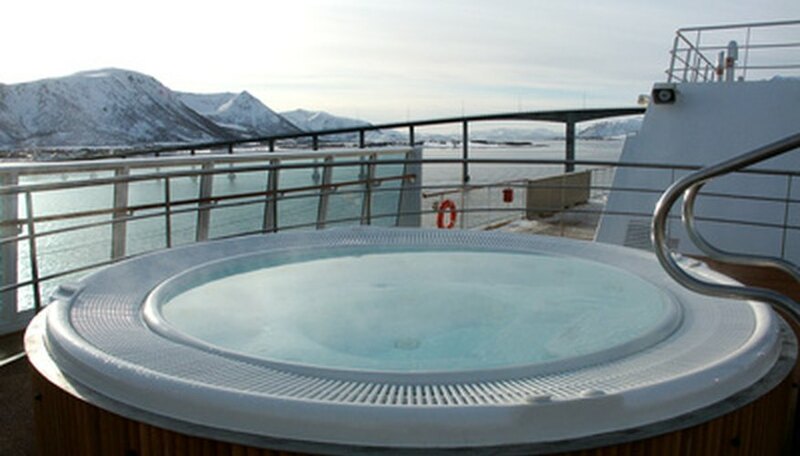 A hotel that has a private hot tub is a very romantic amenity for you to enjoy with your loved one. To experience the ultimate romantic getaway, book the Romance, Relax and Revitalize Package at the Dana Hotel and Spa in Chicago at $440 for a one-night, two-day stay. The package includes complimentary champagne and chocolate-covered strawberries, one night or morning of room service, valued at $200. One session for each of you at the Dana Spa is also included in the package. Other amenities for you to enjoy with your partner are intimate settings at one of its three restaurants or lounges, extra large showers and personal robes for you and your partner to enjoy each other's company in comfort. Just outside of Chicago in Orland Park, the Essence Suites offer couples the opportunity to relax and rekindle their romance any time of the year. With four different types of suites: the Whirlpool Suite, which includes a whirlpool next to a fireplace; the Essence Suite, which includes a whirlpool, fireplace, steam room and rainforest shower; the Essence Suite with Loveseat, which includes everything already mentioned plus more room in the suite and a loveseat with cocktail table; and the Super Essence Suite, which includes everything mentioned plus roses or rose petals on your bed, along with a heart-shaped pizza to eat. Voted as Chicago's most romantic hotel in 2010 by City Search, the Hotel Monaco Chicago offers a variety of suites and packages for every couple. From its romantic suites, focusing on rest and relaxation, to regular rooms that allow you the opportunity to go out and explore the city, the Hotel Monaco even has a professional massage service that will come to your room and perform double massages for you and your partner. If you and your love can't imagine leaving home without your pet, you are free to bring them with you, as this hotel is extremely pet-friendly, and caters to your animal just as much as they do to you. Webb, Erin. "Romantic Hotels Near Chicago." Dating Tips - Match.com, https://datingtips.match.com/romantic-hotels-near-chicago-7295347.html. 27 April 2015.